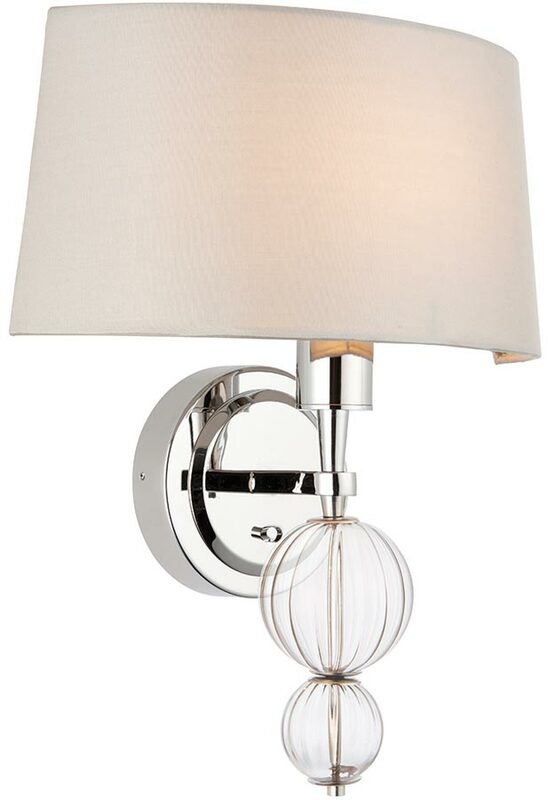 The Darlaston contemporary polished nickel wall washer light with silk shade is a modern classic, featuring ribbed glass spheres and a marble silk half-round shade. 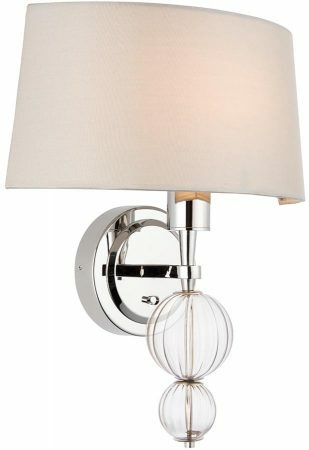 Polished nickel circular wall mount and upright lamp holder topped with a half-round marble silk shade. The shade has an open back allowing the light to wash the wall behind. Two ribbed glass spheres hang below the shade to add the finishing touch. This is a classy contemporary wall washer light suitable for any contemporary living room, dining room or hallway. The Darlaston contemporary polished nickel wall washer light with silk shade, designed and manufactured by Interiors 1900.